Now that I've found my keyword to target for this public niche site project, I need to develop a content strategy. I actually get a lot of questions all the time about how to target keywords in an article, how many articles to write, and so much more. In my post today, I hope to answer some of those questions. In addition, I will be laying out exactly how I plan to produce content for my new niche site. Before I dive right into how to target a specific keyword, I want to lay out some basics for web content. First, you MUST produce 100% original and quality content for your niche sites! If you think using spun articles or copying content from other places works, then you are way off. I would never put anything but 100% original content on my niche sites that is both readable and useful. The idea is to create something valuable and BETTER than what is already out there ranking in the top 10. So, even though I will be writing an article on the “best survival knife”, its something that I need to spend some time on to make myself stand out from the crowd. Well, if I can have the best content out there, then people will spend more time on my site. I do believe that Google is taking into consideration bounce rates and time spent on site. So, yes, producing valuable content takes more time, but it pays off way more in the long run. (And I'll be the first to confess that 2 years ago I was not always producing high quality content, but times have changed my friend…). I have already picked my primary keyword for the niche site. Now I will write ONE primary article targeting that one keyword (best survival knife). This primary article will be a static PAGE or POST on the homepage (the homepage will not change as I produce more articles). You can do niche sites with a blog still homepage (like my site here), but its my preference to have a static homepage. The title of the article will be more than just the primary keyword. Instead it should be something more descriptive like, “The Ultimate Guide to Finding the Best Survival Knife” (just an example). 200 words or so on the top 5 or 10 knives from the chart (based on my own research). Concluding advice about how to pick the best knife for yourself. That is a general content plan for the primary article. and reviews of each individual survival knife I list on my homepage in the primary article. Please note that I am never using my primary keyword again in the titles of my secondary articles. These secondary articles are related keywords (in the same niche), but they are indeed different keywords. How to Produce Quality Content? It takes work to produce quality content! I will not be outsourcing my primary article. I am researching all the different knives myself and will try to provide a resource that compares all the survival knives out there, a resource that does not currently exist (that I've seen). This is how to produce quality. Spend time. Put in a lot of effort. Come up with something as original as possible. First, I'll start with the primary article. Then I plan to add at least 14 other secondary articles. At that point, I'll spend time optimizing the ranking of the site and decide if I should produce more content. So most likely the site will start out with 15 to 20 articles (no, not added all at once). If the site shows some income potential and I see further opportunity, I may add another 100 plus articles over the next year…who knows! Many of these secondary articles will indeed be outsourced, I discuss that further down. How Often to Use the Keyword? Some people really like to penalize themselves by using the keyword a TON! I NEVER use the keyword more than 1% of the time. In fact, its usually much less than that. If my article is 500 words, I might use the targeted keyword 3 or 4 times throughout the article. Much more than this is unnatural and is likely to get yourself slapped with a Google penalty. The most important place to use your primary keyword is in the Title of the article. Then just use it naturally in the article after that. I often outsource the content of my niche sites. But for sites that I really want to perform well (like the public niche site), I will usually at least write the primary article. However, I expect to outsource many of the secondary articles. I use TextBroker.com for my article needs most of the time. Always at least a level 3 and sometimes 4. They are not a cheap option, much more expensive than many other places. However, you always get a native English speaker, and its a quick and easy ordering process. With any outsourcing service, you will still need to read through and edit the articles sometimes, but hopefully this is minimal. So, there you have it. Overall, I will be writing the primary article myself over the next week or so. After that, I will be outsourcing much of the content at TextBroker.com. I would love to hear your thoughts on this post. Do you have any questions about my content strategy for my niche site? Do you do things differently? Let us know. Nice break down. I like the video walk through as well. Excited to see the growth of the niche site in the coming weeks to months. World Of World is my favritor game, and i find http://www.nngold.com is a good website to buy wow gold. Looking good Spencer! How do you find your secondary keywords? Is it the same way you used to find the primary? What criteria would you recommend? Long – I actually will probably do another post specifically about secondary keywords. The ones in the video/post were for example purposes only; I may not end up actually using those keywords. But in a nutshell, I will be researching for competition levels using Long Tail pro, but for these keywords, I am willing to accept much lower search volume (less than 500 is just fine). I’ll cover this in more detail. Did you ever make a post about finding your secondary keywords? If so can you please link me to it? Thanks for everything you are doing to help show us the way! Will you use textbroker.com for any articles? Thanks again for all this great content! Have you tried to outsource the content creation to a virtual assistant on elance or Odesk? Yes, I’ve used Elance, Odesk, and many others. I do recommend finding one good author if you can…so either textbroker or Elance is just fine. Well outsource in general for articles I mean. Great. I did read the complete course of Patt Flyn and I will read/watch everything you have to say about this subject. I have problem ranking my mainpage but I have a blog type homepage and will start soon with a static page with a lot of information about the keyword I want to target. Spencer, I’m going to write a big post for my main page but there are two keywords I want to target is this a bad idea? They both have the same amount of searches. One seems to be a bit easier, but the other has more commerciality (ads on google). I find it hard to decided which one is the best to target 🙂 And both are offcourse in the same topic. I have screens from market samurai of the top 10. Does anyone want to watch for me and see what they think? I’m kinda new to this and haven’t made any succesfull sites yet haha. Hi, great read! Are you going to reveal details about your backlinking? As we all know, it’s hard to find the correct strategy for backlinking these days, and what worked 3 months ago, may not be the best option today. Yes, I’ll reveal my backlinking details when the time comes. and then all the subsequent secondary keyword articles are essentially posted to the same blog but broken up into categories and tags? Yes, that’s a good structure. Nice post Spencer. I like the idea of writing the first post yourself and getting a feel for the niche which should help with editing down the track. I have a feeling you are right about bounce rates coming into calculations, I’m noticing something similar. Great stuff Spencer, thanks for sharing. Hey, I have a question about the related key words you found. I jumped into niche sites last year and have not have any of the success I hoped for. But I’ve learned a lot and continue to experiment. All is not lost. At this time, I’m building content for another blog I dabble with and I’m testing some of the tactics I’ve been learning regarding key word searches and content creation. So I’ve written some really long articles recently, one being about Reverse Mortgages. I used LTP to find several key words on this topic. I used one of these to serve as my article title and others to serve as sections or sub topics. My thinking is that this allows me to target multiple key words in a single large article rather than writing several smaller articles. Is this viable? Any thoughts or reactions to that approach? Key to note, I’m not making a niche site on Reverse Mortgages, I’m using KWs to write articles on an existing site. Kinda like the dude (name escapes me) at Universe Today. Thanks and congrats on your boom and Jan.
Sure, you can try that, and you might get some traffic for those keywords. But you will likely need to do more linkbuiding using those keywords as anchor text to start climbing the ranks in google for those keywords. Fraser Cain from Universe Today. Fantastic post Spencer. The videos are extremely helpful for beginners! I remember trying to figure out how to create a static page on my own last year. Keep up the great content. Sounds a good plan – you certainly seem to need more (and better) content these days to rank. After all Google will lose market share if it doesn’t direct customers to the best content, so the obvious way of getting rankings is to produce great content that also naturally attracts links. Sean Spur strikes again, Secretary of Strategic Investment Limited, Nov 1989. I would like a refund. I can’t remember having you as a client ‘Rolf’ (indeed I’ve never had a client with your name) and I certainly can’t remember anyone asking for a refund for any work we’ve done. I’d be careful what you post as this appears to be libellous. I notice you don’t post a full name or a link to your website, so I can’t contact you directly regarding this. I guess you’re just a troll, but I’d suggest you become more careful to avoid defamation when trolling in future. Thanks Spencer! Another easy-to-understand post! Your strategy of a static home page & posts was really helpful. As for content, what priority would you put on also creating a give-away free report and an auto-responder series? Isn’t it really important to capture email addresses as soon as possible (e.g. launch day)? Well, I don’t really “launch” my niche sites, so I don’t expect any traffic for probably a few weeks after its live (typically). So, I’m not concerned about an email opt in right now, but I likely will add one for this niche. (Most niches I don’t). Thank you for the insightful article. It is interesting to compare how you create your niche sites vs Adsense Flippers. You both have some slightly different techniques which are very fascinating. I am still searching for a decent keyword to use, but I fully intend to follow you along in your NSP. I am surprised that you didn’t give homework for this post. I liked that idea in the previous update. I am super happy that you’re doing this as it will help those of us who haven’t been terribly successful with niches yet. I think I botched my first attempt by using the primary keyword way too much on my first niche site. Glad you are following along Iain! I think that if you put your primary keyword in your secondary articles shouldn’t be very wrong, I don’t know. I you take for example Pat’s “securityguardtraininghq.com”, he has his main keyword in about half of all the posts on his website. Google still likes it. I would very much like to hear your comment about that. But if we put this aside, I like this post very much, because you make as realize how important the content really is. I’m joining you on this journey and looking forward to all of it. I didn’t mean to say you can use your primary keyword in other articles. I just meant its not the focus and you can penalize yourself if you over use it. In pat’s case, he is targeting other keywords like “Security Guard Training in California”…so its a secondary keyword that just happens to contain his primary keyword. Hope that makes sense. Its fine to use your primary keyword naturally in articles…but only 1 article is specifically targeting it. Are there any disadvantages when we use our primary key word again at the time we create new posts? 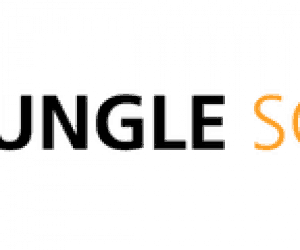 -Best survival knife for tropical forest. -Top 10 ways to identify the best survival knife. See my comment above yours. Its okay to use your primary keyword in other articles, but I typically avoid using it over and over again. The disadvantage is that Google could penalize you for keyword stuffing or overuse of your keyword. If every single post title on my blog here at NichePursuits.com included: “Building Niche Site”, would that seem odd? (Yes, it would). Looking forward to see more! Have a good weekend. Loving this series, Spencer! Hope you don’t mind if I add my 2 cents. I work as one of the “behind the scenes” raters that [undisclosed search engine] uses to train its algorithms. We are definitely told to “downgrade” a site for keyword stuffing. If you use the exact same keyword or phrase over and over in the same piece of content, in a way that is unnatural you will be penalized. Your advice is right-on. Make it sounds natural. That’s really the best strategy overall. Search engines are trying to deliver the best content to users — that’s their goal. So, if your content is good they want to serve it up on a silver platter. If it’s obvious “keyword stuffing” — not so much. Just keep in mind that REAL people are reading (and rating!) your site, and write for real people. Nobody wants to read a paragraph that repeats the exact same 3-word phrase so often that it doesn’t make any sense. Thanks for the transparency of this project Spencer. I look forward to following along! AWESOME! My site would have passed a manual reviewer :). Actually, that’s very cool that you can validate what I have been saying here – thanks for sharing!! yep. I also really like your idea of using a comparison chart for several reasons. We’re told to look for quality content (more important these days than it used to be), specifically meaning that it should be obvious that someone put some time and effort into the page (weakly-spun content doesn’t stand a chance with me! LOL). Also, although you have affiliate links and ads on the page, they don’t interfere with your main content (a very important factor that a lot of people ignore). I am really looking forward this. Thanks for sharing it with all of us and making it a great learning experience!! I’m looking forward to the rest of this study. I’ll be working on a new niche site soon too. It’s not an EMD, but strategy-wise it’ll probably follow along pretty closely to how you’re doing the knife site. I like doing the static homepage for smaller sites, with links to every article right there in the sidebar. Okay, I hope your new site does well. Hey Spencer, thanks for this informative post. I don’t know if you have already mentioned this elsewhere but how are you planning to monetize the site? Are the knives you’re profiling expensive enough to generate enough affiliate kickback? Just wondering. Perhaps amazon affiliate program. Perhaps email list with other affiliate offers in the long run though as well. Heck man if i would’ve listened and followed your lead from the beginning i think i would be alot further along. As usual you spot on and a heck of a teacher. i have used LTP for my local seo business, but now i want to move more into niches and you’ve given me the blueprint. Thanks a million man!! I suggest you find writers directly, through, for instance, the Editorial Freelancers Association (the-efa.org) or other organizations or writers’ individual Web sites. TextBroker and similar content mills pay writers as little as $2.00 per article. Even the highest paid writers there are getting far less than the industry wage and are only on it because of the quantity of work available–a lot of good writers aren’t good at marketing themselves. I don’t know what you’re paying TextBroker, but chances are you could pay a writer less, and that writer would still earn more than they do from TB. You’d get more dedication and better work. That’s a useful resource. However, looking at their rates listed, there’s no comparison for TB and the like. Most newbies wouldn’t be able to afford it in my opinion. Liked your post Spencer…Thanks for sharing your notion of content creation. Just have a query more than an argument. Do you think is it good to have URL including keyword? I mean to say, having static page with page-title same as article-title. Thinking of this only because of EMD update. Exact match domain don’t serve same purpose as they did in past. That means my home page won’t have primary keyword anymore. Let me know your ideas on this, please. I still use my keywords in my domain. (its works). Awesome. I’ve been wanting to look over the shoulder of niche site makers for a while now and this part of the process is what I’ve always been most curious about. Glad that you decided to make your process public :). Your post is great Spencer ! Can I ask a small question: how to increase fast rank ? Is that visitors and backlinks must increase day by day ? Lovely tutorial on building a niche site. Can’t wait to read your posts!. I can’t believe a webmaster can be so frank as you are, sharing every detail about building a site, monetizing it and ranking it. You are unbelievably generous. Keep up the good work. Spencer – you jumped from selecting a niche, keyword and domain right to content creation. Very valuable information, indeed. Just wondering if you plan to go over back-end WordPress setup details – like theme setup, plugins, widgets, etc.? Or are you basing this project on the assumption that most readers already know all of that stuff? I definitely plan to cover all of this in detail as part of my follow-along Mini NSP. I suppose it might be better to get some content posted so the search engines can pick it up and then worry about most of that stuff later, right? I will definitely be doing wordpress backend updates. I usually do that after I have some content, so that’s the reason for the order of posts here. Good updates. I have my primary article show full content as sticky post, and other secondary articles show excerpt as latest article. Does this is also a good a structure? Yes, using sticky posts is just fine as well. You make an interesting point about over-optimizing the static page by targeting the keyword too much, and I wonder if I fell victim to doing exactly that. I launched my first niche site last Friday, more as an experiment than anything else. I followed a lot of Pat Flynn’s back linking strategies. By as quickly as Tuesday — four days after launching — I was on Page 2 of Google for my main keyword. But then, by Thursday and still as of today, I am nowhere to be found for my main keyword on Google, just like that. I wonder if my static page specifically was punished, because for a secondary keyword of mine, one of my pages (not the static page) ranks on Page 4 of Google as of today. So clearly the other pages are still doing okay. This leads me to believe that I either 1) over did it with the keyword optimization on my static page, or 2) over did it with the article submissions pointing back to the site (as opposed to the Web 2.0 sites, though I did do both). Again, this was my first niche site experiment, barely a week old, so it’s not a huge deal. I’m just bummed that I reached Page 2 of Google so quickly, only to be nowhere to be found now. Spencer do you consider use the softwares of Jonathan Leger in your freshs posts if TBS or AB for example? I would never use spun content or article builder content on a niche site! (That type of content CAN be used for link building purposes, but not on your money site). I’m really proud of this post and interested to know a good point from you and that’s about keyword density. I think 1% is fine that means..in a 500 words post, I can use main keyword 4/5 times but if I have 4/5 subheadings and they all contain main keyword then keyword density exceeds 1%. What ‘ll happen. Let me know if I am wrong or right? Subheadings count. So, if you use it 4 to 5 times in your subheadings, that’s it. So, 5 times in subheadings + 5 times in content is 10 times, or 2% of a 500 word article. Overoptimization penalty is likely. What is your criteria to add more articles in addition to the secondary articles? After how much time from start do you make the decision if to add more articles or not? I start posting secondary articles right away. I’ll do an entire post on this subject of secondary articles. will add in case you will see that the site has potential. Spencer your a total legend! I’ve been playing around with micro niche sites for a little while but not having much success, probably because of the lack of great content. I’ve been following along with your nsp and have found my keywords purchased my domain and wrote my main article, it’s currently at just over 1000 words, do you think making it longer would add more benefit? Also when you say you use main keyword less than 1% are you counting the times it’s used in the title and headings? P.s long tail pro dominates market samurai! 1000 words is probably good. Yes, count title and sub headings. Hey Spencer, this is amazing to follow along, I hope it’s bringing you the success deserved. 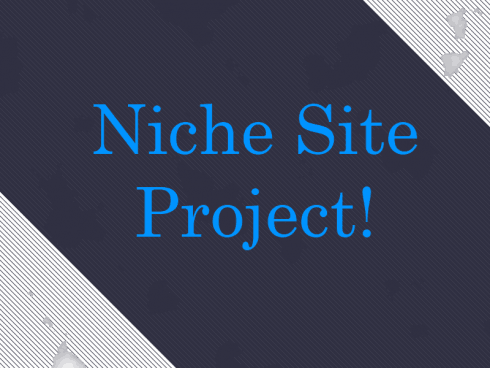 Thank you for showing us your progress on your niche site! I’m looking forward to see your updates on it. As I saw some people mentioned here about exact match domain (EMD) so I would like to share my own experience here. In about 2 months ago, as I was looking for a long tail keyword, I found an expired EDM.org with no content, no backlink yet still ranking on the 10th place on Google!!! I realize it’s a low volume searched keyword (only 1600 exact searches), but still an expired domain still ranking on 10th place on Google? That has to have something to do with the fact that it’s an EMD!!! I couldn’t resist the low hanging fruit so I took the expired domain and worked on it, but after about 2 weeks, it dropped completely out of Google ranking. Luckily after I wrote more contents and some backlinking, it is now on the 5th place on Google for that particular keyword. So don’t worry about getting penalized for having EDM. Loving The Guides! I just started building an authority with around 3,600 exact locals. I’m wondering what your experience has been with branded keywords and outranking sites like Lowes or Amazon? These sites aren’t specifically designed for my keyword, but more for a broader niche so I feel that I have a pretty good shot. I avoid results where ecommerce sites like lowes and amazon are ranking usually. I’m a complete beginner trying to get my niche site started. Your posts have been a great help. Thank you for having this project, I’ll be following your blog closely! If you can find someone that will include images with the articles, that’s much easier (I haven’t done this much). textbroker prices are available on their site, depends on the quality level you hire. Where and how do you intend to research the actual products? hey spencer quick question. do you make any categories on your site or all they all just posts posted in uncategorized? I make categories. Nothing under uncategorized. I have one question 🙂 I was going through your blog read some post ur ebook. May b i missed some thing. Why advertisers are paying when there are not enough searches? Advertisers pay on very small search volume keywords. They understand the “long tail” of keywords very well. Hey Spencer – I’m following your progress. I’m glad someone finally is helping us, step by step. You’re certainly one of the good guys! I am following your public niche site project and I just noticed that your new website (bestsurvivalknifeguide) already had pretty high alexa rank (1425931) even there is no article there. Have you started doing link building? I am new to niche site and would like to learn more from you! Thank you. I think it’s because lot of people visit the site, and most of them instal alexa tools in their computer. Nice stuff out there Spencer. I am glad you’re there to help young folks looking to make career in blogging. I too have been a beginner and your posts have helped me a lot. i can’t wait for the new niche website theme 2 to come out so i can benefit from it. i also have a question for you, if a keyword has around 7000 local searches and its AKC: 0 and the average cpc is $0.50 would you concider it a good keyword and invest in it ? Spencer, I need your expertise: if several of your blog posts start to rank for keywords that are generating nice traffic, what can you do to keep those posts ranked? Any secrets here? Thanks. Reading this made me sad. I used to follow the yoast SEO plugin that advised me to keep keyword density of 4 or 5% on each text. As you mentioned, google changed this metric. Now, do you think that’s revelant to rewrite my article ? I have an old blog with 20 articles published in it. Soon as Google Penguin has implemented, it lost whatever decent traffic it enjoyed. Now i realized that more than half of the articles/posts have the main keyword in the title and body of articles. Will it do my blog good if I revise the articles instead of deleting them — by deleting or reducing the occurrence of main keywords in most of of these articles and insert with long tail keywords? If so, can I use only one appropriate long tail keyword for every article., or more? Can I also modify the title and change main keyword to a chosen long tail keyword, or i’ll just leave it at that and concentrate on revising content of post. thanks so much for anticipated response! Tagline. How important is this? Should I leave it blank or add some more Keyword related stuff to it? Spence, you’ve got a lot of valuable information on Niche Pursuits, but I think the NSP series is your best yet. The detail, the videos, the clarity, it’s something I’d expect to see in a paid course. I recently purchased the Niche Website Theme and will be doing my own niche site because you’ve made the process so easy to follow. Hi Spencer! I like how you did your main article, really a in-depth approach! Tell us please what plugin you used for your amazon affiliate knife listing ? The big knife list! An do you do all your amazon links “no follow”? I’d just like to ask one thing from you. All the other posts in the series have one tag in common, “niche site project”, excel for this one. I go back to older posts quite often to refresh a piece of info in my head and it would be really nice if all the posts would be tagged with at least one common tag. Since my English is not so good I try to get content from the professional writer. Hope this step could help me to produce a good content. Thank you for the comprehensive tips and I’ll follow it. I just wanted to ask how you came up with the additional keywords for the site that did not contain the main keyword..how would you do this for a niche you know nothing about ? I know if you use Google keyword tool for this..it will show a list of keywords where most contain the main keyword. Long Tail Pro for one. Then also just reading information on forums or in your niche will come up with lots of related keywords. I have long Tail Pro Platinum..but all it returns is mostly keywords that contain the main keyword..any tips ?? Do more research in your niche by reading forums or think out of the box. Then input those seed keywords into Long Tail Platinum. This should only take you 5 minutes or so to find lots of other related seed keywords. Thanks Spencer…Hey I have one more ? for you..when you build out your sites to say 100 + pages on word press..how do you add them to the word press sidebar..don’t you run out of room listing all of those pages ? NichePursuits.com is a wordpress blog with about 200 articles. They don’t all need to be linked from the homepage. They are linked under categories or dates, etc. How many words should secondary articles be? I just found your site yesterday and I am amazed. You actually show people how you do things. You actually answer all the questions. There are so many people in the affiliate marketing arena who provide general information or a little in depth in one area, but they are so vague in many ways and I find it frustrating. I belong to a pay-to-join forum on affiliate marketing and in asking questions there, I am just surprised and amazed at the non answers I get there. I don’t know whether it’s on purpose or just because most of the people there aren’t really doing things or making money…or a little of both. Then I come here and find EXACTLY the kind of information with all the details that I have been looking for. You don’t just talk about keyword research and show how to search for keywords, but then take it to the next steps that I’ve been needing, such as how you then analyze what you have found. The information on analyzing your competition is precisely what I have been looking for. Thank you! I am so excited to be able to follow your progress on your niche site that you’re doing now. To be able to follow along on something that is current…that’s just wonderful. Hey Spencer, can you recommend any tool to generate a chart in post? I didn’t see this answered here and if it was I missed it. I saw that using the primary keyword page, you use 1k – 3k words approximately. Do you have a rule of thumb for the secondary keyword posts? Do you make those about the same size? No, for secondary keywords I just try to find ones that I can rank for…they could have a search volume of 200 or less sometimes. Or just keywords that make sense. The primary keyword is the most important. Thank you for being open with your niche site pursuits. I have a niche website I set up three months ago. But I’m not making money yet. So I decided to apply your strategy with the survival niche website. I hope I will be able to put much work as you have done; and reap the benefit. BTW, did you use plugin for the email subscription box on the site? I also want to build a list, but I’m confused about the whole thing. Can you point me to a plugin or a tutorial so I can create that subscription box too on my site? Thanks for reading. And please I’m sorry for the ranting! Hey, your secondary articeles, for how much period do you drip them ? Every day you post a new article or like once a week ? About once a week is close to what I’m doing. Hey Spencer, I’m a bit behind you chronologically, but trying to follow along on my first niche site adventure. I love the idea of creating a really useful piece of content to draw people in, but I’m hung up on the “timeliness” of the information. You’ve got a wonderful matrix of information that represents the state of these knives at the time of publication. What happens as more people review/rate the products listed back on Amazon, or manufacturers release new models? Do you (or a VA) have a regular ritual of keeping this information up to date? Do you have an Amazon API based solution to keep information accurate? I’d really be interested to hear how you deal with the changes in this data over time. I can see a niche site sitting comfortably on this kind of info for 6-8 months, but losing revenue in the long haul because it doesn’t reflect up-to-date statistics/products. The site is only a couple of months old. I would suspect that if I update the list of knives every six months, that more than enough. So, yes, I will update it. But as you can see, the prices are not listed on the chart, so they click directly to amazon to see the prices, so nothing else needs to be updated other than models of knives and then eventually overall ratings. I just realized that you use symbols for the prices which probably covers small fluctuations. 1) Don’t put detailed, up to date data from Amazon in a table like this, so that users have to use the affiliate links to see more. 2) Do put detailed, up to date data into the table and let users sort/filter/interact with it however they want. #2 is more useful immediately to the user, and #1 is probably better for your bottom line, indirectly. What’s your opinion? I went with option 1 for the reasons your mentioned – and its lower maintenance. I’ve been following your site progress for a few months now and am finally finishing my primary article. But I do have a few questions before I’m ready to publish it. In its current state my article has 3900 words. Do you think that may be too much? I found a niche I have a bit of a passion for and new a bit about it already. So the content research was actually quite fun. This then resulted in that monster of a primary article as the content just poured out of me. Would you split this kind of a big post into smaller pieces? There’s some good stuff in my primary article that I could expand a bit and make a few of those “just because it makes sense” secondary articles. My other questions is about the keyword frequency. My primary keyword is in singular, but sometimes it makes quite a lot of sense to use it in plural. Does the plural version count towards the overall keyword density? I use the singular version 11 times – that’s just under 0.3%. I use the plural version 4 times. Combined it’s closer to 0.4%. What’s you experience with this singular/plural keyword usages? Goran – that is indeed a long article – but perhaps its just fine. Some people REALLY like the in depth articles. I would just keep it as one post – may increase time on site if people are really into it anyway. I think your keyword density is good with the plural and singular usage. As long as you are using the keyword (and not OVER using) then its less important if its singular or plural. Hey Spencer how do you allow comments on a static page when using the niche site theme? Edit your “screen options” when you are on the Page you want to allow comments on. Why are your reviews only reachable by the links at the side? Why don’t you have an item in the menu called articles or reviews? Also on your “Survival Knife Guide” page the matrix doesn’t link to the posts with reviews on. I may add a column. Just curious why you use a static homepage instead of making blog posts the home page? Is it better for SEO? I like to control the keyword targeted on my homepage for niche sites – that’s why I make it static. Thanks for great article. I am making my living from adsense nad affiliate programs since 2009 and was hit by recent algo updates. Reading what you are creating and how are you doing it step-by-step is giving me my faith back :)) I’m using the same strategy but forgot a few times to create awesome content for my main keyword. Now I know, what I’ll have to work on better. Thanks a lot mate. Kind regards from Poland. Great article, Spencer. I’ve started from the beginning of your NSP, and following all the way through. A question about secondary keywords and secondary articles; how are you selecting them? Are you doing any keyword research or are you just intuitively producing content and selecting keywords relating to your well-researched primary keyword? Great information, Spencer. Thank you. Why posts instead of pages for your secondary keywords? Its just how I do it; most people use “posts” for blog posts. Use pages if you want. Launching another site on the backbone of this project. Are you rewriting the “reviews” and the “Specs” found on the manufacturers sites? Or Amazon? Thank you for the valuable information Spencer. Question about on-page optimization for secondary keywords. I notice that you currently rank #8 for “cheap survival knives”. I’m curious why you only mention this exact keyword once in the title on this page and nowhere else in the article yet you’re ranking so well? Isn’t it common practice (depending on word count) to use your keyword more than just in the title for best results?! Probably just an oversight. I should have used the keyword phrase in the article as well…good catch! Thank you for this video. For the longest I was stuck on whether the other keywords had to all contain the main keyword or if they just had to be relevant to the main keyword. This video cleared up a whole lot for me . Thanks! I have a question regarding the originality of the content. I have made a product review website and got some reviews written from an article writer. In all the reviews, the first 2 paragraphs are sentences taken from internet mainly about the product taken from the manufacturers and other websites. In terms of percentage this makes around 20-30% of the article. Rest of the articles are unique and original. My question is should I post these articles on my website and what are implications of this? You are probably just fine with this. The majority of the content is original, and first 2 paragraphs are understandable. Although it would be best if these first 2 paragraphs were rewritten to be more unique perhaps. To be on the safe side, I got the first 2 paragraphs rewritten. Another things I noticed was that the writer used a single line in all his articles, meaning there was a sentence which was present in all the articles. Is this dangerous if my articles have a common sentence in them? what about if I built good content only for my HomePage and start promoting using your backlink strategy. Will I be able to rank Nr.1 if I stick to the plan? Do I really need to add more content around additional posts? Is it imperative to have a static page with an primary article as homepage in order to rank for the main keyword? I was looking over demo. proreviewtheme.com /amazon/ and it looks preety nice but the homepage would contain only reviews with excerpts and an article at the bottom also as an excerpt. What do you think about this theme in terms of keyword ranking? Hi Spencer, I found a keyword, looking at all the videos of how to use longtail pro the keyword looks really good. however the top 10 in google are ebay and a few other commercial ones. I’ve been working on it for a couple of weeks, is it worth me pursuing? What do you think? Can i make it onto the front page? I will inbox you the keyword if you’d like! I’d really appreciate a response, thanks Spencer! Strategy | Niche Pursuits <Liked it! I was wondering how you get your graphics for your knife website. Do you ask for permission to use them from other sites? Do you create your own? Do you just use them and hope for the best? Thanks. The graphics are custom created. The images in the table, etc. are from Amazon. I am just writing to make you know of the fantastic discovery my wife’s girl encountered checking your web page. it’s like to possess an amazing teaching spirit to get others easily learn a number of multifaceted topics. unique guidance on the topic to Tanya. What should be the criteria for selecting secondary keywords for articles? Should it be strictly like for selecting main keyword or a little less that that would work? pay a quick visit this website on regular basis tto obtain upated from most recent information.